A Theatrical Reading by Bill Oberst Jr.
Narrated by: Bill Oberst Jr. Jr.
"He came out of the earth hating. Hate was his father; hate was his mother." 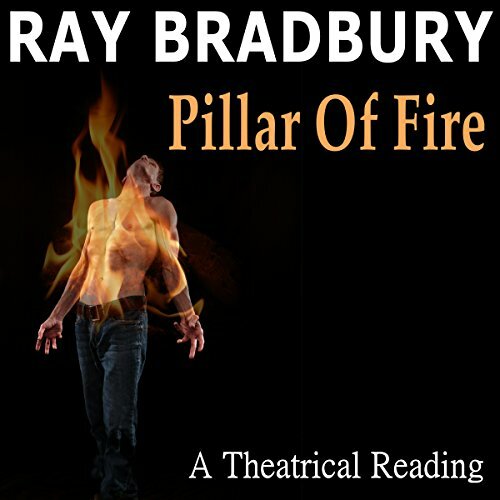 Ray Bradbury's Pillar of Fire is a touring theatrical reading by Emmy Award winner Bill Oberst Jr., abridged from Bradbury's dark, violent, and poetic novella of the same name. In this exclusive production for Audible, Oberst recreates an award-winning stage performance of the tale Bradbury called "a rehearsal for Fahrenheit 451." Winner of a Best Solo Show of Hollywood Fringe award and an Ernest Kearney Platinum Medal, the original Los Angeles production was directed by Ezra Buzzington, who voices the roles of McClure and the Incinerator Attendant. Pillar of Fire first appeared in the summer 1948 issue of Planet Stories magazine and is recorded by arrangement with Don Congdon Associates, Inc. Production sound design by Mark McLain Wilson. Credits voiced by Karen-Eileen Gordon. ©1948 Ray Bradbury (P)2016 Bill Oberst Jr. The Original Walking Dead - Leave It To Bradbury! If you could sum up Ray Bradbury's Pillar of Fire in three words, what would they be? What other book might you compare Ray Bradbury's Pillar of Fire to and why? This is early Bradbury, written before all of the elements in his style had completely fused. His fans (I'm one) will recognize all the elements of later pieces like Usher II and even F451 but there's a rawness here that I think gives it its strength. It's angrier than a lot of his other early material and his passion for Poe has more of an edge to it here. Have you listened to any of Bill Oberst Jr.’s other performances before? How does this one compare? He is obviously enjoying the performance and the material. I like that passion. Sympathy for a murdering dead man...who else but Ray Bradbury could make a reader feel that? I wanted William Lantry to burn them all down. Poetic in places and just plain creepy in others. Thank you Mr. Bradbury. We really do miss you. Where does Ray Bradbury's Pillar of Fire rank among all the audiobooks you’ve listened to so far? This is a bit of Bradbury I'd never heard of nor read. Very poetic and very dark. The last section sounds like a sort of hymn to Halloween. I've ordered the book containing the whole thing to read it in the entire form now. Surprised this story is not better known among Ray Bradbury fans. Which character – as performed by Bill Oberst Jr. – was your favorite? The dead man risen from the grave is actually a terrorist if you think about what he is doing, but you do feel sorry for him. The man who figures him out, McClure, is a question mark: is he the devil or is he saving his society? All very thought-provoking. The last bit where the dead man is reciting all that he represents. Heart-felt and fun, in that spooky sort of way. I'd recommend it to people who are into Bradbury's darker side. Oh, and a little knowledge of Poe helps to catch the references made here. This is more of a performance than a reading. A true tour de force by the inimitable Bill Oberst Jr. You may never find a more passionate or ferociously entertaining recording in the Audible catalogue. Fans of Bradbury in particular will appreciate Bill's nuanced handling of this prose poetry. Not to be missed! Would you listen to Ray Bradbury's Pillar of Fire again? Why? Yes, it made me think about why we have Halloween and the people who say we shouldn't have it, like the man in the story who wants to kill the hero. The dead man because he is sometimes scary and sometimes like a child - you want to help him at times but he is doing bad things like murder. He is a conflicting character. I would recommend it - good music and sound effects and there is no bad language either. Ray Bradbury's mind was one of a kind. Bill does an excellent job of bringing Ray Bradbury's words to life! I highly recommend this reading to anyone that is a fan of Bradbury's stories!